Few vehicles are both loved and despised as much as the minivan. As models of how to move passengers and cargo safely, comfortably, and economically, they’ve found a loyal base of buyers. But they’re also hated — including by some of those same loyal buyers — for being just short of anonymous. 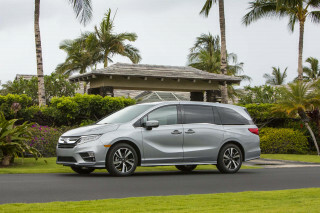 Despite how several automakers have allowed their minivan models to slide out of the limelight, minivans are still a very significant chunk of the new-vehicle market, with still more than a million sold per year in theU.S. 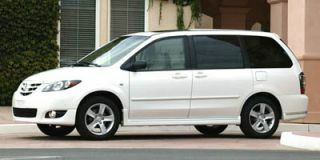 The Kia Sedona was originally introduced for the U.S. market for 2002, with a design that was successful for its impressive value even if it wasn’t quite up to the standards of refinement, packaging, and performance of top-sellers like the Honda Odyssey, Chrysler minivans, and the Toyota Sienna. 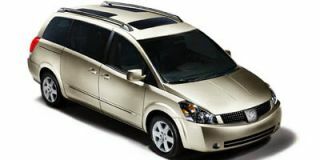 Kia isn’t settling for good enough, though, as it’s already introducing a completely new design for the Sedona for ’06. 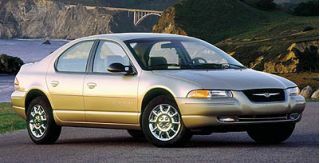 With a quick look at the outgoing Sedona’s specs, it’s easy to see why it wasn’t quite competitive performance-wise — it was a heavyweight, at over 4800 pounds, and so its otherwise generous 195 horsepower was only adequate. To start, the new Sedona was designed with weight savings as one of the priorities, and engineers managed to shed more than 400 pounds despite larger dimensions and increased standard equipment. Performance is kicked into another league, thanks to both the weight-loss plan and to a new aluminum-block 3.8-liter DOHC V-6, with dual continuously variable valve timing (CVVT) and four valves per cylinder, which replaces the outgoing 3.5-liter iron-block V-6 and makes considerably more power and torque. At 244 hp and 253 lb-ft, it makes more torque than any competing minivans, and ties the class-leading Honda Odyssey for horsepower. The new 3.8 is an engine that will soon appear elsewhere in the Kia lineup, we’re told. The 3.8 now gives the Sedona plenty of scoot, even if you’re carrying a full load. There’s an abundance of torque for takeoffs from a full stop, and there’s also plenty of heavy-breathing passing power, quickly accessible through fast downshifts from the five-speed automatic transmission. The Sedona especially amazed in high-speed passes. 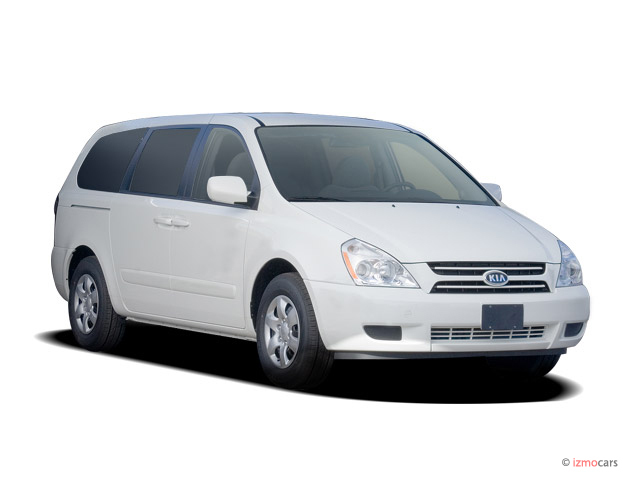 In highway driving, the Sedona proved comfortable, stable, and quiet. There’s very little wind noise, and none of the boominess coming from the back on coarse road surfaces that plagues some minivans. The powertrain is also remarkably settled; the key to this is the engine’s abundance of torque — it can lug along in top gear and has enough steam to climb rather steep grades without downshifting or losing speed. And so the transmission is pleasantly devoid of the “hunting” back and forth between gears that some minivans exhibit to maintain speed on rolling hills. “Sportmatic” manual control of the automatic transmission is available by just moving the shift knob over to the side gate, but you’ll find the auto-shift performance in the Drive position to be just fine. Fuel economy used to be an embarrassment with the last-generation Sedona, but the new model has EPA ratings of 18 city, 25 highway. In some demanding California driving — a mix of high-speed Interstate, urban, and mountain roads, with a very heavy throttle foot, we saw nearly 19 mpg on the trip computer, so most drivers will do much better. 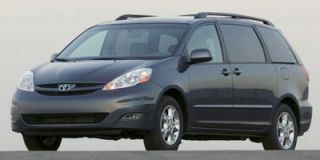 The ride on both variants is quite firm for a minivan, about right for most drivers though buyers might find frost heaves and expressway expansion strips a little jarring. Handling is extremely capable though it’s not quite in the realm of sports sedans. The suspension’s firm tuning reveals its strength on twisty mountain roads, though, where we can faithfully say that the Sedona has far more handling capability than most buyers will want or need. With a light load, the Sedona was an unexpected joy to hustle up and over a mountain pass, handling progressively like a well-tuned peppy front-wheel-drive sedan, with no tippy feeling and a minimum of bounce. The independent rear keeps grip and feels stable as well. Our only complaint is that the steering lacks a strong on-center feel, and so highway driving, especially in crosswinds, requires lots of small adjustments. So it has the goods for the driver, but how does it fare for form and function? 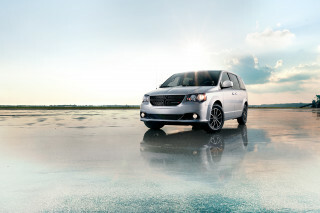 Stepping back to assess the package, there are a few new creases and curves, along with fashion-of-the-moment projector headlamps, but the Sedona’s exterior styling doesn’t break a lot of new ground — it’s a minivan, with a shape that’s attractive though certainly derivative, and it’s not going to stand out from the rest of the minivans in the local mall parking lot. It’s the same familiar shape that just makes sense — a box with an aerodynamic nose, albeit with a few creases and curves to distinguish it to those who look closely. However the interior does help differentiate the Sedona from the competition and gives the occupants a sense that they’re in a vehicle with style, even if the outward appearance is one of anonymity. Much of the Sedona’s design and switchgear comes across like a “best of” compilation; while many elements of the interior are derivative, it doesn’t plagiarize any one vehicle but rather borrows some of the best elements from various automakers’ switchgear. For instance, the heated-seat controls almost exactly mimic those long-used by Audi, with a rotary-slide switch, while seat adjustment is done through seat-silhouette-shaped switches mounted high on the door panels, as on most Mercedes-Benz models. Another feature to find its way into the Sedona is the curved, fish-eye “conversation mirror,” which allows a parent to quickly assess mischief-prone back-seat occupants. When shifting into reverse, the side mirror automatically angles down toward the rear wheel and the curb to aid in parking — another feature not usually seen outside luxury-brand vehicles. Even the engine bay is well thought-out, with a hydraulic lift, the dipstick in front, and critical fluids labeled. The new Sedona is slightly longer and wider than the model it replaces, with a stretched wheelbase as well, bringing a gain in overall interior space of almost 15 percent. That translates to a welcome increase in seating space especially. The front-seat area feels more expansive, and the seats themselves are more ample and supportive than those in some of the competition. The second row of seats is comfortable enough for adults on long trips, while the third row actually has enough headroom for most adults, although the third row is mostly kids’ stuff — legroom is tight and the cushions are very short and uncomfortably flat. The seat arrangement is clever, but then again over the past decade a clever, convenient seat arrangement has come to be expected in a minivan. The third-row seats — split 60/40 — fold down into a recessed area just behind, to create a completely flat cargo floor, while the second-row seats can fold forward or they may be removed from their tracks with an easy release. 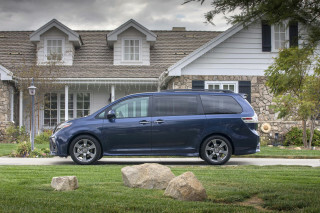 The second-row seats, however, are heavier than we expected, at more than 60 pounds, and we couldn’t imagine some minivan moms being able to comfortably rearrange the interior on their own. The third row folds up and down with just two motions each way. However we noticed that getting it back up is a bit more complicated. First you lift up on a lower strap and pull the seat up then forward; then you reach for a longer upper strap and pull the seatback into position. We noticed that in the process of the first step, the seatback strap can fall forward of the seat, making it hard for shorter people to pull the seatback into place. On the plus side, the third row folds away to allow a completely flat cargo floor. Designers worked to increase the number of useful storage areas rather than the number of smaller cubbies. Along that line of thinking, there are several significant storage compartments, including a useful upper and lower glovebox, overhead storage, center console storage, side storage bins in back, and a front-row folding side table. Altogether there are 14 drink holders and three DC power points. Oddly, all Sedonas have an ashtray front and center, at a time when many vehicles don’t come with them at all. 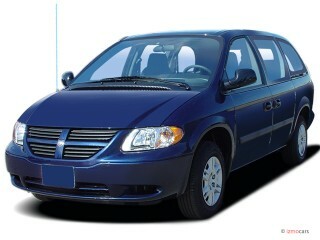 All Sedonas have dual sliding doors, as opposed to the single sliding door that was considered standard for minivans just a few years ago. Conveniently, the row windows fold down almost all the way, and the third row windows tilt out, either from a driver’s door switch or from a side-panel-mounted switch for back passengers. And though the Sedona comes only in one size for now, there’s a short-wheelbase version on the way, to first be shown at this year’s Geneva show and then introduced for North America late this year. Marketing chief Ian Beavis hinted that the shorter van will offer even more in the way of sport-tuned handling, at a lower price. The Sedona is offered in only two trim levels, with an entry LX offering a generous level of standard equipment and the EX adding quite a list of luxury features and options. The base LX includes a tri-zone climate control system, with separate fan controls for all three rows of seating, along with power windows all around, a rear wiper, and cruise control. The upscale EX includes power side doors and a power liftgate; both can be operated through a button on the key fob (apparently, the only thing you’re supposed to do for yourself in a minivan is procreate — and we worry about that being buttonized). The EX also adds larger (17-inch) alloy wheels, solar glass, automatic headlamps, fog lights, and chrome trim. There’s also a Luxury Package ($2400) for the EX, which adds leather seats (heated in front), programmable driver settings, power adjustable pedals, automatic climate control, a power moonroof, steering-wheel audio controls, and a backup warning system. Both of the EX models that we drove also had the Luxury package, which altogether adds about 250 pounds to the Sedona (even so, it’s still about a hundred pounds lighter than the outgoing model). The EX’s extra weight can be felt; there are slight differences in performance and ride, so take them both for a drive. LX models have a CD player, while EX models upgrade to a system with both cassette and CD functions, along with MP3 compatibility. 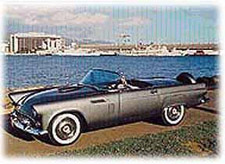 All of the systems have nice sound that doesn’t distort at highway-driving volumes, but audiophiles will want the Premium Entertainment Package option ($1700) for the EX, which brings an Infinity Logic 7 audio system that can deliver more than 600 watts to 13 speakers and includes a six-disc in-dash CD deck, along with a DVD player with eight-inch screen, remote, and wireless headsets for back-seat occupants. The top system really kicks out the power and provides impressive sound at low volumes and clarity that’s not lost at higher volumes. The entry LX is no longer the bargain-basement $19,000 special that the Sedona was when introduced four years ago, but it’s competitively priced at around $23,000. The savings add up for the fully loaded EX, which, with every available convenience, comes in at a bottom-line price just over $31,000. A comparable Odyssey would be into the upper thirties, and the Sedona includes nearly everything offered on the Odyssey except a navigation system. The lack of a navigation system is still a sore point; rather than outsource a navigation system, Kia is still planning to source its navigation system from Mobis a Hyundai/Kia captive supplier that has never released a nav system for the U.S. market. The nav option is still at least a year away on the top models, according to Kia officials. To many shoppers, Kia’s lengthy warranty coverage — five years or 60,000 miles bumper-to-bumper and ten years or 100,000 miles for powertrain — will make the Sedona an especially attractive choice for families on a budget, even though resale value might not be as high as the Odyssey. 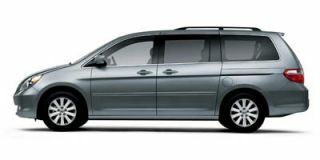 In a model year, the Sedona has leapfrogged from being a nice but clearly second-tier minivan to a model that has every right to be compared with the class-leading Odyssey, Caravan, and Sienna. In just about every aspect, it feels as if Kia relentlessly studied the competition, then designed a truly competitive product. 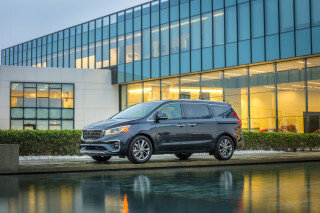 While we might not all be those who extol the virtues of the minivan, it’s hard to deny that the well-thought-out Sedona is staged to score Kia a deservedly bigger share of the minivan masses.